Summer’s kicking into high gear this week with more than just the Colorado BBQ Challenge. Here’s some more activities to add to the summer schedule. 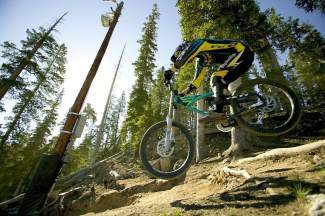 The lift-served Keystone Bike Park opens summer operations today. It lays claim to some of the best downhill terrain in the country, with trails for all ability levels. From beginer riders to those looking for big drops, Keystone’s got it. They also offer a variety of ride lesson options, starting with Bike 101 for newbies to the sport. There are a variety of pass options from single-day to full-season. More information is available at http://www.keystoneresort.com. Copper Creek Golf Course is also kicking off summer operations today, joining Summit County’s other courses for the season. It lays claim to the highest tee box in North America. The course’s 18 holes wind through alpine terrain and old mining remains, with views of the Tenmile Range. Rates and other information can be found at http://www.coppercolorado.com. Not big on barbecuing in Frisco this weekend? Then head out of town for one of the nation’s biggest whitewater festivals at FIBArk in Salida. From kayak rodeos to whitewater races, it’s all things whitewater and more. “Anything you can do on land or water is happening this weekend,”said Ralph. There are also mountain bike and running races, and live music with a festival atmosphere. One of FIBArks signature events, the Hooligan Race, takes place Saturday evening. “It’s goofy fun,” said Ralph. “Anything that floats” is the mantra for this race. Participants build their own water craft and dress up to run a stretch of river. Style points count as much as making it across the finish line. More information and events schedules for FIBArk are available at http://www.FIBArk.net.